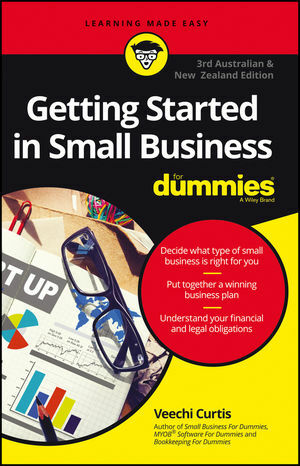 Have you always wanted to know what it takes to run a successful small business? This easy-to-follow guide offers everything you need to get started. From learning how to create a strong business plan to understanding your financial statments, you'll find expert advice and guidance to turn that next great business idea into a thriving venture. Veechi Curtis is a qualified accountant and consultant who specialises in small business finance, marketing and technology. She is the author of several business titles, including Small Business For Dummies, 5th Edition, MYOB® Software For Dummies, 8th Edition and Creating a Business Plan For Dummies.